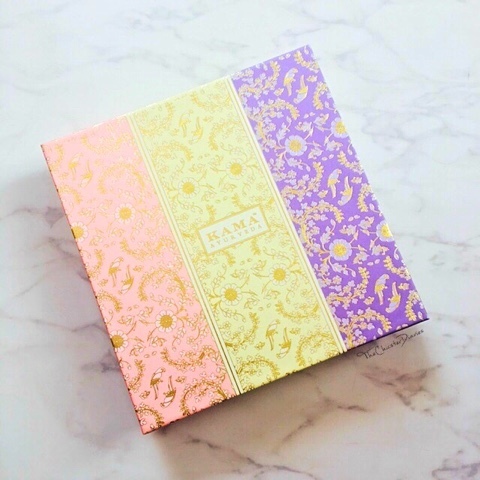 Claims: A trio of pure floral distillations in an enchanting, pastel toned and filigreed gift box. Pure Rosewater - An incredible facial toner and natural astringent, balances and restores skin’s pH level and helps tighten pores. Acts as the perfect alcohol-free toner with a light cleansing and clarifying action that helps remove cleanser residue while readying for further skincare treatment. Pure Mogra Water - A luxuriant floral distillation that refreshes, hydrates and tones with the sweet scent of pure Indian Jasmine. It adds essential moisture back to balance dry, mature and sensitive skin. Mogra's sweet fragrance is clarifying and refreshing start or finish, to a long day. Pure Lavender Water - A soothing floral distillation that calms, cools, hydrates and tones leaving skin scented with the meditative scent of pure Himalayan Lavender. Its calming action makes it perfect for sensitive, irritated skin. A natural anti-depressant, a few spritzes relieves frayed nerves and even aids in getting a good night's sleep. Packaging: The box comprises of pure floral mists that come housed in sturdy, travel-friendly bottles. The spray nozzle dispenser that comes along with the bottle makes the application process super hygienic and convenient to use. Texture: Since the product is water based and is prepared by steam distillation process, the formula is very lightweight and gets easily absorbed by the skin. As the product is 100% Natural and free of chemicals it does not feel greasy at all or leave your skin feeling sticky. 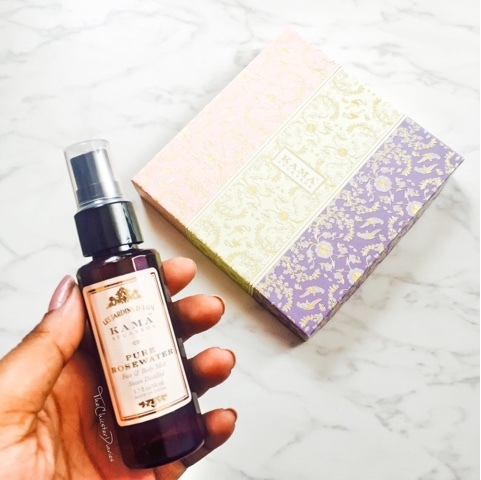 Scent: Another factor that I loved the most about these mists is that they have a naturally infused scent of fresh flowers that is not at all overpowering but rather refreshing. The Jasmine one is a bit stronger than the Lavender and the Rose variants. However, the Lavender one is my absolute favorite. 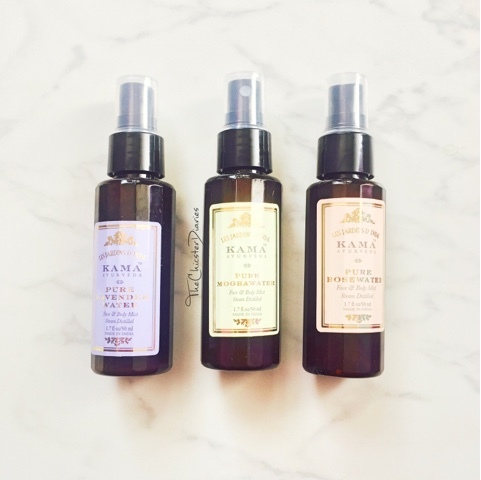 Each of these magic potions have their own unique benefits that help restore, rejuvenate, and revitalize your skin. 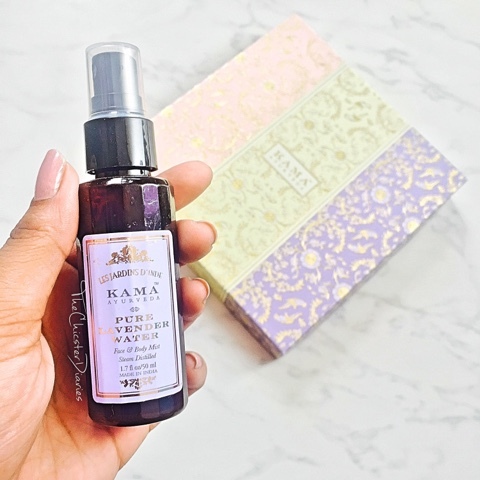 Rose Water - As per my experience, the Kama Ayurveda Rose water keep a check on the excess oil while keeping the skin sufficiently hydrated. Also, it works well when used prior to makeup application. Lavender Water - As specified earlier the Lavender water is my favorite of the lot, mainly because of its soothing scent. 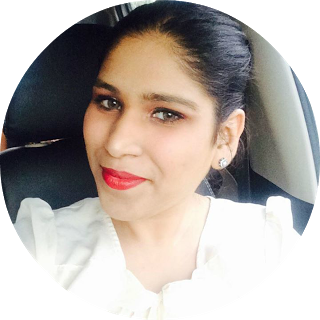 The Lavender scent is considered as an antidepressant, it helps me feel calm and relaxed when I include it in my night time skin care regime. Also, this product is perfect for sensitive, irritated skin. Mogra Water - I usually prefer to use this product as a part of my day time routine as it refreshes and sufficiently hydrates the skin. Also, the Indian Jasmine scent seems much more pleasing when applied in the morning. This Pure Mogra water is best suited for dry and mature skin. 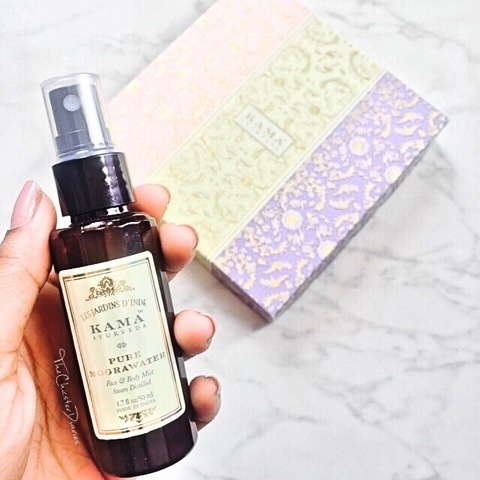 Overall Verdict: I am really fond of the Kama Ayurveda Rose and Lavender water and will surely be purchasing it again. 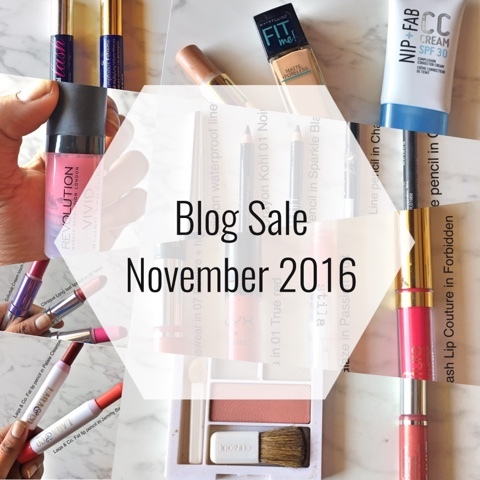 In terms of the texture, packaging and fragrance the products are a must try. 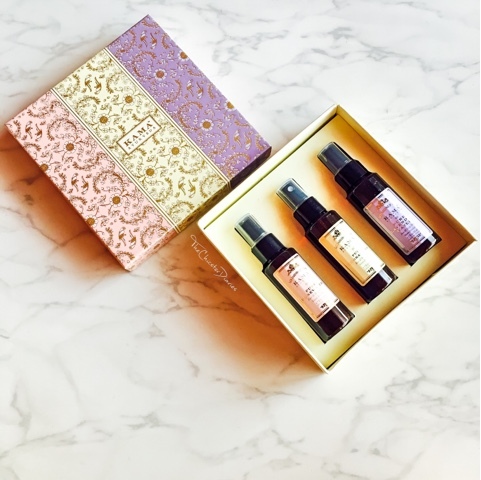 This set looks perfect for gifting and sampling their mists. That's pretty cool. Thanks for sharing dear.